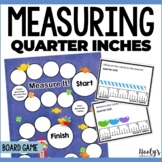 Use this worksheet to review or quickly assess student understanding of measuring to the nearest quarter inch. It can also be used as a homework assignment. Answer Key included. 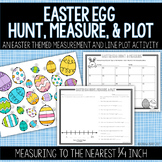 Use this worksheet to review or quickly assess student understanding of first estimating and then measuring to the nearest quarter inch. 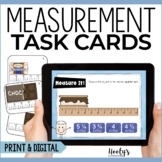 It can also be used as a homework assignment. Answer Key included. 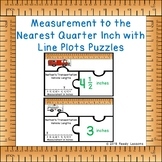 Students will measure to the nearest quarter inch, create a line plot, and then answer questions about the line plot. 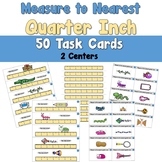 These two worksheets are helpful when introducing the skill of measuring items to the nearest quarter inch. 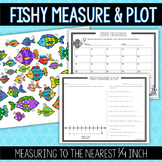 They require students to color in sections of a ruler to show different measurements. 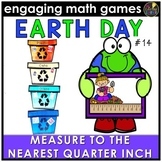 Students will measure rectangles above rulers to the nearest quarter inch. 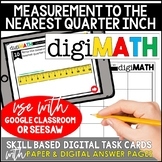 Some rectangles begin at the 0 inch mark and some do not. 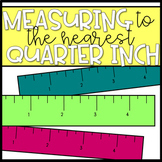 The rulers only show the quarter inch marks. 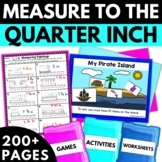 Here is a worksheet where the kids have to measure different items to the nearest quarter of an inch. 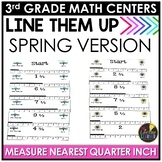 Students will measure each line to the nearest quarter inch.